This magisterial work, long awaited and long the subject of passionate speculation, is an unprecedented exploration of modern poetry and poetics by one of America’s most acclaimed and influential postwar poets. 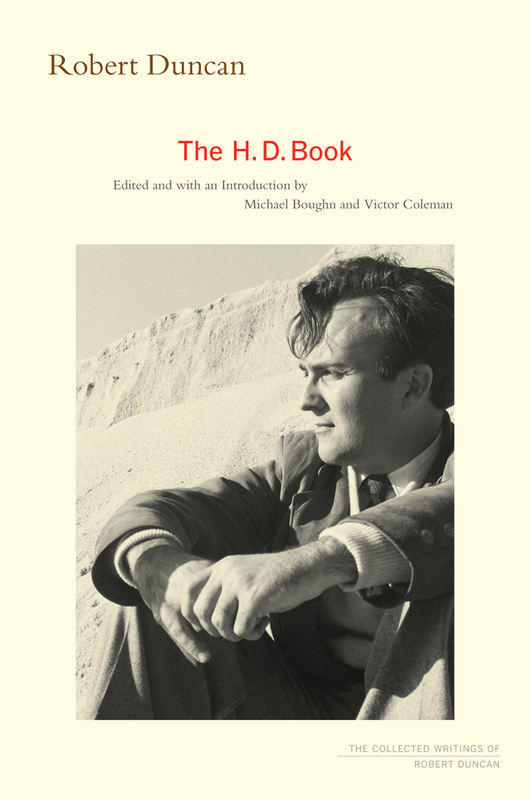 What began in 1959 as a simple homage to the modernist poet H.D. developed into an expansive and unique quest to arrive at a poetics that would fuel Duncan’s great work in the 1970s. A meditation on both the roots of modernism and its manifestation in the work of H.D., Ezra Pound, D.H. Lawrence, William Carlos Williams, Edith Sitwell, and many others, Duncan’s wide-ranging book is especially notable for its illumination of the role women played in creation of literary modernism. Until now, The H.D. Book existed only in mostly out-of-print little magazines in which its chapters first appeared. Now, for the first time published in its entirety, as its author intended, this monumental work—at once an encyclopedia of modernism, a reinterpretation of its key players and texts, and a record of Duncan’s quest toward a new poetics—is at last complete and available to a wide audience. Robert Duncan (1919–1988) was born in Oakland and spent most of his life in California. One of the major figures in the San Francisco Renaissance, Duncan, often identified with Donald Allen's landmark anthology The New American Poetry and the Black Mountain poets, is author of The Opening of the Field, Roots and Branches, and Bending the Bow, among other works. Michael Boughn is a poet, scholar, and fiction writer. His many publications include H.D. : A Bibliography, 1905–1990, Dislocations in Crystal, Into the World of the Dead, and 22 Skidoo/SubTractions. Victor Coleman was a founding editor of Coach House Press and is author of one / eye / love, Light Verse, and ICON TACT among many other books of poetry.